Turkey’s latest military incursion in northwestern Syria is one of its biggest moves yet in the six-year-old Syrian conflict. It also highlights a diplomatic and military rapprochement with Moscow that’s been making NATO allies uneasy. The operation carried out late on Thursday (October 12) is part of a joint plan agreed last month by Turkey, Russia and Iran to set up a de-escalation zone in Idlib province to help bring an end to Syria’s six-year old civil war. Ankara has long supported rebels fighting to oust Syrian leader Bashar al-Assad. But since last year its focus has shifted to securing its own border and preventing a new influx of Syrian refugees. “We said we may come unannounced one night, and tonight our armed forces started the operation in Idlib with the Free Syrian Army,” President Recep Tayyip Erdogan said in a speech to his AK Party on Friday. “We are the ones with the 911 km border with Syria, the ones who are constantly under threat,” he added. The military deployment in Idlib is also intended to rein in the Kurdish YPG militia, which holds the adjacent Afrin region, a senior rebel official involved in the operation told Reuters. 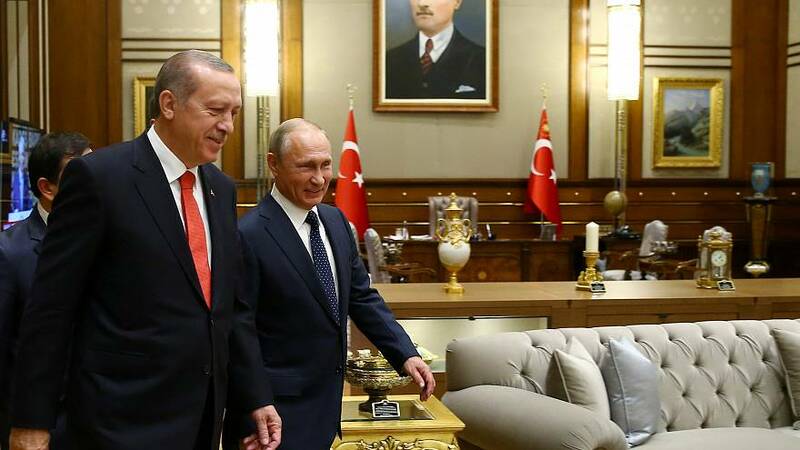 Turkey’s plans to buy a missile defence system from Russia have raised concern in Western capitals, given tensions with Moscow over Ukraine and Syria. However, NATO Secretary-General Jens Stoltenberg said this week Turkey was not seeking to antagonise the alliance by purchasing the system and was in talks with France and Italy to buy similar weapons. With the second-largest army in the alliance, Turkey has enormous strategic importance for NATO as a bridge to the Middle East, due to its geographical proximity to Iraq, Syria and Iran. But relations have frayed. Simmering tension came to a head on Sunday (Oct. 8) when the United States and Turkey suspended visa services for each other’s citizens, after Turkey arrested an employee of the American Consulate in Istanbul. Ankara has grown furious to see Washington supply arms to Kurdish fighters in Syria. Turkey considers them part of a terrorist group with links to the Kurdistan Workers’ Party (PKK), which has waged a decades-old and bloody insurgency in Turkey’s southeast. Iran and Russia are now looking like helpful allies to fight what it calls a dual threat from these Kurdish fighters and the Islamic State militant group. President Recep Tayyip Erdogan said on Thursday (Oct. 12) he would never allow a “corridor of terror” to be set up at its border.